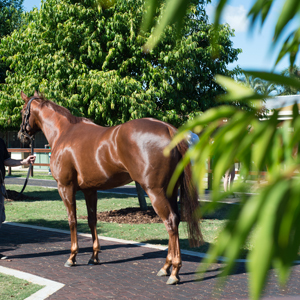 A colt by successful sire Exceed and Excel topped Day One of the Magic Millions National Yearling Sale on the Gold Coast today. The top selling youngster, catalogued as Lot 1817, was bred and sold by Baramul Stud with John Crowley of Chevaux Bloodstock snaring him for $250,000. The colt is a half brother to this season’s Widden Stakes placegetter Mystic Empire and is from a lightly raced General Nediym half sister to Group One winner Royal Descent. His second dam Mulan Princess and third dam Madam Valeta were both group winners before being retired to stud. Today’s sale topping colt could return to the same sale ring later in the year with the Gold Coast 2YOs in Training Sale a possible target. The second top price of the day was for Lot 1716, Arrowfield Stud’s Lord Kanaloa colt from African Piano who sold to UK based bloodstock agent Dermot Farrington for $230,000. The colt is from an unraced Deep Impact full sister to Japanese based Group Two winner World Ace. The colt’s second dam is a stakes winning half sister to champion international performer Manduro. Three other yearlings sold for $150,000 including a Not a Single Doubt half brother to All Legal to Gary Moore Racing from Raheen Stud. 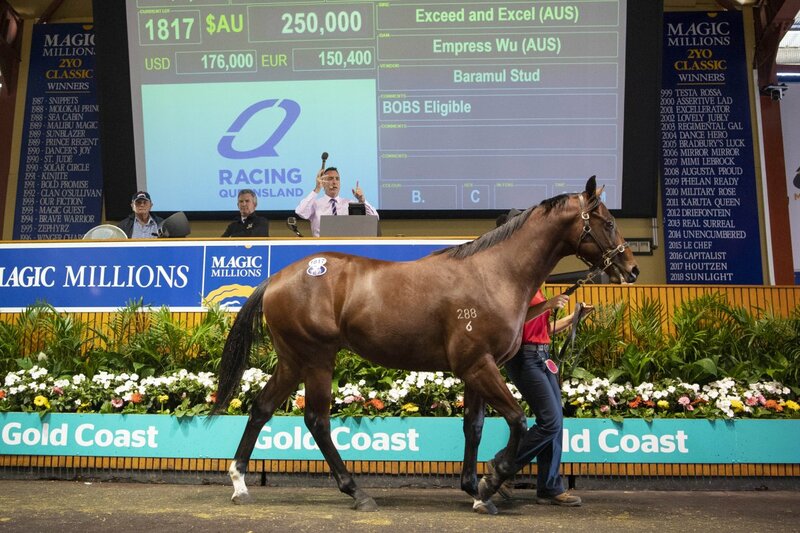 A pair of colts, a full brother to Group One winner Plucky Belle and another by Hinchinbrook from a half sister to Lorne Dancer, were both purchased by the Hong Kong Jockey Club for $150,000. 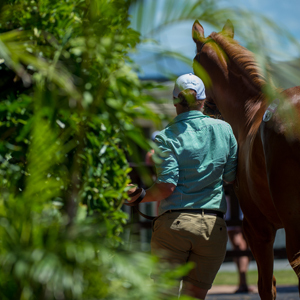 During today’s opening day of yearlings over $4.2 million was traded on 103 lots sold at an average price of $41,257. The selling rate was 62.4 per cent. 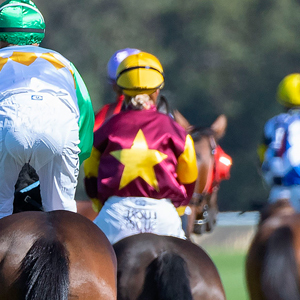 “The clearance rate is far from satisfactory and we’re disappointed in that,” Magic Millions Managing Director Barry Bowditch said. “Given that, there’s plenty of opportunities to buy well bred and conformed horses over the coming two days,” Bowditch added. 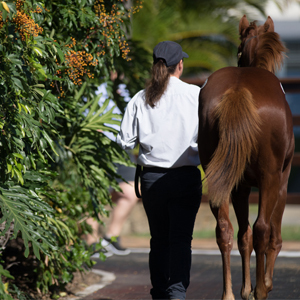 Day Two of the Magic Millions National Yearling Sale commences at 11am (AEST) tomorrow (Wednesday). 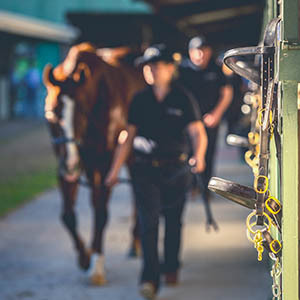 Day Three comprising Book Two yearlings will be held on Thursday followed by the National Racehorse Sale featuring an outstanding catalogue. To view a video review of today’s sale click here. To see the the list of the results from the sale so far and to make an offer on a passed in lot click here.